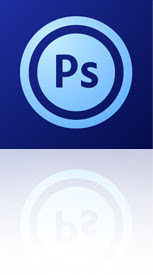 Adobe releases Photoshop Touch today. The Little brother of CS5 is available for iPad 2 only and comes with a fairly low resolution of 1,600 x 1,600 pixels. This global conference creates a direct worldwide connection to leading industry veterans, including game, film, and associated trans-media fields. It provides daily keynotes, over 100 speaker presentations, departmental talks, as well as secure greenlight pitch and mentor sessions. The program includes gripping discussion, informative Q&A periods, shared post-mortems and career days too. Track topics include I.P. Development, Production, Art, Design, Technology, Management, Marketing, Public Relations, Media and Business, This important event is brought to life within an easy, proven, secure, online tool suite that is conveniently available 24/7. …and here is another nice web blog. This time hosted by architect Alison Sampson featuring hundreds of remarkable images from comics, illustration, architecture and graphic design.